Crossrail used WRAP’s Net Waste tool to identify the best opportunities to increase the recycled content of material used for construction. This micro report details how it was used on the Crossrail project, what lessons were learned and what outcomes were achieved. It gives an insight into the value to projects of using the Net Waste tool to improve their environmental impact specifically in the area of recycled content. The promotion of recycled content in construction materials began in 2005 with a recognition that more could be done in the industry to highlight construction products that incorporated recycled content. This was very much the “carrot” to the “stick” of many waste materials destined for landfill incurring tax and using valuable landfill space when they could be diverted for beneficial use within construction products. The promotion was undertaken through the formation of WRAP (The Waste Resources Action Programme). The funding for this provided organisations within the construction supply chain with consultancy resources, guidance and tools. provide the best opportunities to increase recycled content (known as “Quick wins”). This is facilitated through industry research undertaken by WRAP to identify the recycled content in numerous construction materials and components at inclusion rates described as standard, good and best. Quick wins should importantly, not drive up costs and not compromise on component quality and performance. Evaluation using the tool would highlight opportunities, thereby promoting a conversation with specifiers and buyers to ensure that the product is suitable and acceptable on cost. It is also worth noting that Net Waste, as indicated in its title, can be used for calculating waste quantities. Again the same basic data set of quantities is used and waste is calculated using industry researched wastage figures for standard, good and best waste management practices for material types. Quantities of waste are generated, and value for wasted material clearly identified. Implementation of management measures indicates cost reductions and provides valuable data to promote a business case for action. WRAP’s philosophy had been that as the inclusion of recycled content in construction was little understood it would bring it to the attention of the construction sector through consultancy support and the introduction of Model Contract clauses inter alia, requiring a specified minimum recycled content in the overall build. Part of this philosophy was to introduce low targets and in 2005 this was set at 10%, and specifiers were encouraged to also set a stretch target, typically 15%. In 2010, when Crossrail was developing its contract Works Information, acting on WRAP’s recommendation Crossrail set a 15% target and 20% stretch target. sought opportunities to increase the default recycled content. Unfortunately, offering contractors the opportunity to use an equivalent to the Net Waste tool had an unintended consequence. In reality no equivalent existed and contractors that did not wish to use Net Waste often resorted to less accurate methods such as using their own spreadsheets developed for the purpose. This resulted in various approaches that either did not calculate the recycled content percentage by value, or contained incorrect data and formulae. Also, importantly, they did not highlight the “quick win” opportunities that could then become the focus of procurement investigation. In addition, this approach made it very difficult for Crossrail to collate all data and calculate project recycled content using the corporate reporting facility function provided by the tool. The reason for permitting the use of an equivalent tool was due to confusion during the compilation of the contract, when it was assumed that the use of Net Waste incurred a cost to each of Crossrail’s contractors. Under procurement rules it is not acceptable to stipulate a particular proprietary product where there are alternative sources available. This ensures that competition is maintained in the marketplace and no single provider inadvertently gains a monopoly through which prices could be increased without due cause. Net Waste was, however, free to use and could have been specified, thereby avoiding the use of less effective approaches. Once this issue was identified Crossrail spent time working with its contractors to promote the benefits of using the Net Waste tool and all were eventually persuaded to do so. Disappointingly, despite the fact that WRAP had promoted the benefits of recycled content and implemented an advocacy, “train the trainer”, programme where various players (architects, designers, clients, contractors) were trained in the use of Net Waste, it quickly became apparent that very few Crossrail contractors’ personnel had heard of the tool let alone used it. As a consequence, Crossrail had to spend considerable time providing support to contractor personnel through training them in the use of the tool. However, during that time much procurement of materials had already occurred. The delays caused by having to persuade several contractors to use the tool and in training personnel to use it meant that once it was finally adopted in earnest its use became, in part, a retrospective exercise to capture recycled content that was in the as-built Crossrail works rather than in promoting the maximisation of recycled content. 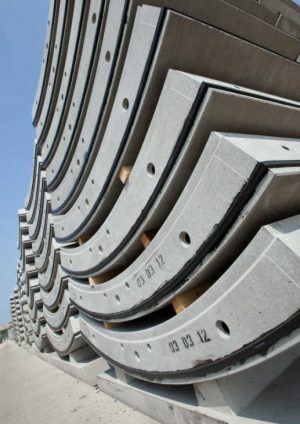 However, because Crossrail promoted the adoption of higher recycled content of concrete through its concrete specifications that particular opportunity was not lost, albeit was only captured in the tool at a later date. Net Waste was largely in use by Crossrail’s contractors by the time construction of Crossrail entered the internal station works and fit-out phase, enabling potential opportunities to be identified for those particular works. By far the single most significant component of the Crossrail works, concrete presented the greatest opportunity for increasing the recycled content by the addition of cement substitutes such as ground granulated blast furnace slag (ggbs) and pulverised fuel ash (pfa). Both ggbs and pfa were specified within standard Crossrail concrete mixes, however, contractors were encouraged to work with their supply chains to identify opportunities to increase these cement replacements still further and implement them where it was feasible to do so. This also, of course, had the added benefit of reducing embodied carbon as well. Crossrail’s stations and shafts have numerous internal rooms the walls of which are made up of blockwork. Several blockwork products that have higher than standard levels of recycled content are available and these were identified and used. Most of Crossrail’s internal flooring comprises Granazzo which is made from waste arising from the extraction and cutting process of dimensional granite stone. As a secondary material, it counts towards Crossrail’s overall recycled content. Steel is another significant material component of Crossrail which was used extensively either as structural steel, or for concrete reinforcement. However, both have inherently high recycled content and although they therefore contributed to the overall recycled content figure for Crossrail they did not provide an opportunity for increasing it further. Crossrail has been able to achieve an overall recycled content of 36% by value, indicative of what is possible for this type of construction. 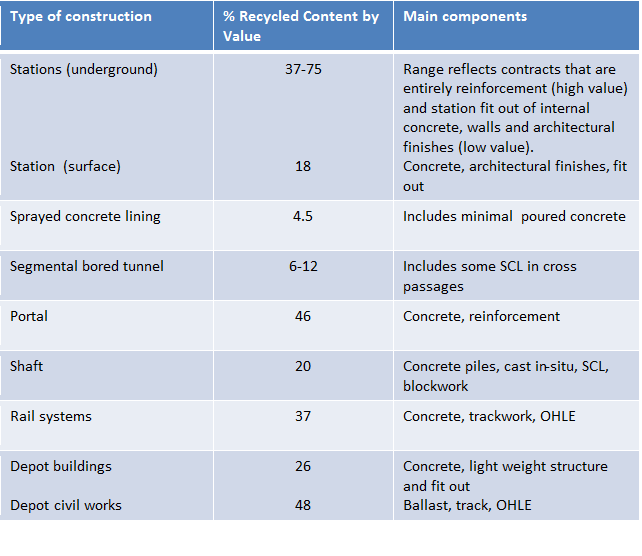 The following table presents a breakdown by type of construction. At the time of writing, there is some doubt as to the future of the Net Waste tool. WRAP’s funding for construction has ceased and is no longer supported. However, the tool is still available for use and WRAP is in discussion with other construction partners with the aim of transferring the tool for continued use. Net Waste remains useful and with a minimal amount of training can be used to provide a good indication of the default recycled content within a project and the quick win opportunities to improve upon it. Its reporting capability is powerful and ideal for those managing a portfolio of projects/contracts, as data can be easily aggregated and used for corporate reporting. Additionally its capability to calculate wastage rates and highlight costs can be a valuable asset to demonstrate a business case for action. The standard, good and best wastage and recycled content figures for the database of components and materials has not been updated since the launch of Net Waste. However, this does not detract from the overall value of the tool because it is fully editable allowing the user to include specific updated or new product data. 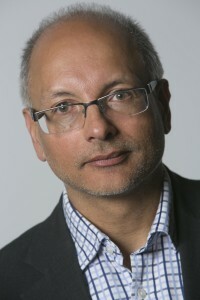 Notwithstanding this, if Net Waste is going to be used in the longer term an appropriate industry organisation should review the figures in the light of advances in materials with the advent of the circular economy that may result in recycled content in “standard” industry levels increasing. The life expectancy and value of the tool can be prolonged if there is an appetite for other major projects to use it. Crossrail’s experience of Net Waste overall is that it proved to be a useful tool for increasing the recycled content of materials.